A collection of short stories by the legendary and iconic Ursula K. Le Guin - selected with an introduction by the author, and combined in one volume for the first time. 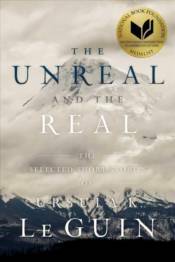 The Unreal and the Real is a collection of some of Ursula K. Le Guin�s best short stories. She has won multiple prizes and accolades from the Medal for Distinguished Contribution to American Letters to the Newbery Honor, the Nebula, Hugo, World Fantasy, and PEN/Malamud Awards. She has had her work collected over the years, but this is the first short story volume combining a full range of her work.